I'm a Sydney-based writer, casual academic, mum, former president of the P&C, and founder of Auslan Afternoons, a play group for parents of deaf children who are interested in learning Auslan. Bush-turkey, by K, found everywhere–even in Brisbane! I haven’t written in over a month. As our year-long trip nears its end, a certain melancholy has set in, at least for me. I suppose, after so many highs, it’s inevitable. We did have some amazing bush camping in northern and mid Queensland before we arrived in Brisbane four weeks ago and what follows is an attempt to describe these adventures . . .
Northwest of Townsville and southwest of Cairns lie the Tablelands. Slightly higher altitude means lower temperatures, rain forests and rain. We drove past fields of sugarcane and stayed in a state forest full of cheeky kookaburras, one of whom flew down and tried to steal the hamburger meat from my hands—I felt the air from the sweep of its wings, but managed to save the meat. Wildlife was abundant at Kauri Creek Campground in Danbulla State Forest. I went for a lovely 9 K walk and didn’t see another soul. Each evening, after the girls were asleep, Lee and I spotted a musky rat kangaroo, the smallest kangaroo, who came into our campsite. I had one near disastrous kayak. The level of the lake was way down, due to drought, and when we were walking towards the water over wet sand, I began to sink. The more I struggled, the deeper I sank. Lee had to pull me out. Twice. On the way to our next camp in Malanda we nearly ran over a black kitten stumbling around the middle of the road. It was midday and a wedge-tailed eagle had spotted the kitten, too. The eagle was circling as Lee slowed to a stop. I rolled my eyes. Lee got out to rescue the cat and brought it into the car. Now, it must be said that K’s deepest dearest wish—what she wishes for every time an eyelash lands on her face or she blows out the birthday candles on her cake—is for a cat. And there she sat in the back with this little black fluff ball at her feet inside an empty beer carton. I was thinking: how are we ever going to take this kitten back to Sydney? And wouldn’t it have been better for the environment if we’d let the eagle have its lunch? After too brief a time in the Tablelands, we drove back to the coast–lush green mountains filled with sugarcane–and made our way south. Babinda had a gorgeous free camp near a swimming hole in the rain forest. A long time ago, Oolana, the beautiful young wife of an elder of the Wanyurr tribe, fell in love with Dyga, a handsome young man from a visiting tribe. The two lovers, knowing that tribal lore forbade their union, ran away together. After having been discovered camping by the creek, Dyga returned to his tribe. Oolana, however, threw herself into the water, which became a swirling torrent. The ground opened up and huge boulders were cast into the air. Today the boulders mark where Oolana drowned. Oolana’s spirit is believed to reside here today—she continues to call out for Dyga to return, enticing wandering travellers, especially men. Over the years, a number of young men have drowned in this very place . . . This is one of my favourite places—right up there with the Eyre Peninsula, Karijini and Boodjamulla. Platypus Camp is an hour in from Mackay, but it feels like worlds away. It’s run by an old hippie and environmentalist, Wazza, who was away on holiday. A family was looking after the place and R made friends with their girls. The family is thinking of buying the camp and moving there permanently, after selling their house in Adelaide. I can see why. Platypus Camp is set in the rain forest with its own resident bandicoots, a stunning swimming hole and separate Platypus Viewing area on another section of the river. The showers are donkey showers (heated by wood fire in the evening); they have three walls and open onto the rain forest so your showering in the outdoors. The camp is biking distance to two beautiful walks to falls and swimming holes. It’s stunning and I recommend it to anyone. Then we made our way down to Brisbane via the town of 1770, named for when Captain Cook landed. Not a lot has happened since. The last place we camped before Brisbane was a lovely bush camp on the Mary River near Kenilworth. More to come on Brisbane in the next installment . . .
“I know,” I said. “We’ll just have a look.” We found this spacious free camp at Corella Dam. There were people camped for weeks, and you could see why. Four baby lapwings greeted us as we pulled in. Our neighbour went out to find firewood for us. We watched the pelicans fish. We saw the sun set over the dam. And then the wind started. It was gale-force. Wind and tents don’t mix—we learned that on the west coast. The noisy flapping kept Lee and R and I up most of the night. The next day, we packed up and got on the road. The farm stay was on Main Street, sandwiched between the old post office and the railroad track that runs sulphuric acid and copper from the mine in Mount Isa to Townsville. Eric, a friendly talkative man, runs the farm with his partner, who was away. Eric grew up in Nelia and his mum ran the post office until it closed. The town used to be bigger, but now Eric’s got just one neighbour across the road, whom he doesn’t get on with. The girls loved getting to water the pigs and feed the chickens. They were sad to say goodbye to Bo Bo the goat and Millie the cow, but off we went. I went early, cycling against the wind. We stopped in Richmond to see a museum full of prehistoric fossils from the area. K’s favourite was a plesiosaur that, several decades ago, two boys found while playing in the creek behind their house. Scientists and volunteers are still digging in the area. I dream of coming back here with K and joining the dig as a volunteer. That afternoon we drove for hours along that dry flat desolate road. At some point the name changed from the Barkly Highway to the Flinders, but the road was the same. That night we camped for free behind a pub in the small outback town of Pentland. With a grassy site, toilets (complete with green tree frogs) and showers, this was a bargain. The next day we drove on through the flat arid landscape that seemed never to end. And then, it changed! All of a sudden there were rolling green hills and green as far as you could see. We were getting close to the east coast. At Charters Towers, we hit traffic for the first time since we left Perth on a Friday afternoon in April. In Townsville the sea greeted us, and so did our dear friend, Katrina. She works for Aboriginal and Torres Straight Island Legal Service (ATSILS). We stayed with Katrina in her lovely flat and were pampered with great food and good wine. Thank you, Auntie Katrina! I’ve only seen a handful of friends from Sydney since we started the journey. My friend Jenny flew up to Darwin in July, which was magic. It’s so nice to catch up with Sydney friends, though I don’t think I miss anything else about the city! On Saturday we took our bikes on the boat to Magnetic Island. The weather was cloudy and blustery, so I didn’t have to worry about sunscreen for once. After three beautiful days with Katrina, we headed north—not very far—to Crystal Creek. There’s a natural waterside here in the rocks, complete with just enough algae to make you go fast. Magic. We were fortunate to meet up with some friends that we made in Cape Arid National Park in WA, six months previously. Lu and Bede are newly retired, and doing a lap, just like us. They’re over sixty, but fitter than most forty-year-olds. At K’s request, they went down the rock slides, too. It’s the eighth time we’ve met up with them along the way. K wanted to stay at the sliding rocks indefinitely, but after two nights we headed north, hoping to get to the Tablelands. We hadn’t counted on road works. Or the fact that I like to stop at every single roadside fruit stand. At around four in the afternoon, we still hadn’t gotten to the turn off that would take us to Yungaburra. Our fridge was warming up and we realised we needed to plug in–we needed a caravan park, and soon. I was driving; it was hot; I had a headache. When I saw that Cairns was only another fifty kilometres, I looked at Lee. His eyes lit up. As a backpacker, nearly twenty years ago, Cairns was the first place in Australia Lee came to. He flew from the dull and dreary UK to this tropical paradise. When he landed here in June 1997, it was 27 degrees and sunny in the middle of “winter”. The beer was cheap, the palms swayed in the breeze and I think he thought he’d died and gone to heaven. He went to the Wool Shed every night and drank until he danced on the tables. Needless to say, times have changed. As I write this, it’s 8:45 in the evening and he’s fallen asleep while putting the girls to bed. So, we came to Cairns, along with about a million other tourists. This is the gateway to the Great Barrier Reef and it is a lovely tropical setting, albeit very touristy. We’re here for one more night before heading into the bush again. Today, Lee and K took a boat to Green Island, where they snorkelled the Great Barrier Reef, alive with huge sea turtles, colourful fish and giant clams. What a life. Eight days ago we left the centre, took the Stuart Highway north and watched the mercury rising. We passed the Tropic of Capricorn and stayed the night at Devils Marbles. I couldn’t resist a few more photographs. The following morning we drove to Three Ways and then east along the Barkly Highway, a lonely stretch of road. In the more remote areas of Australia, markers on the highway show the distance to and initials of the next town. On the Barkly in the NT, however, there are no towns; for that stretch of 257 kilometres, the markers heading west read SH for Stuart Highway and headed east they read QLD, for the Queensland border. I took my bike out early and cycled down this long straight flat road that cuts through the middle of Australia. I cycled 26 kilometres against the wind, which felt more like 96. I’ve never been so happy to see our trailer with the pink kayak on top coming my way. 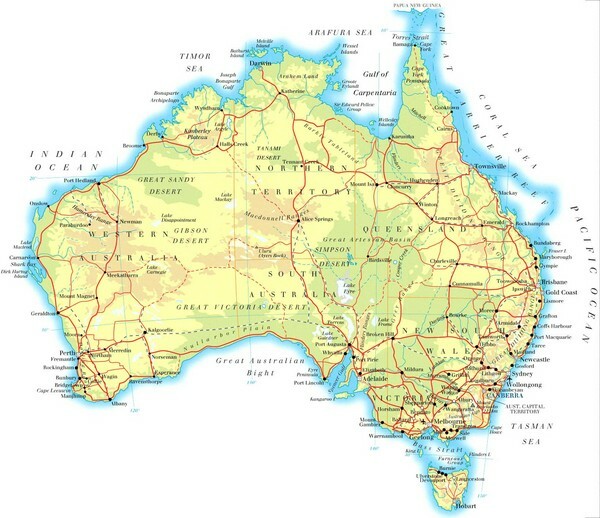 I’ve cycled bits of this trip around Australia; it’s the easy way to bike round. I don’t have to carry any gear and Lee always picks me up after an hour or two. It’s nice to slow down and peddle sections of the journey. I enjoy the rare moments of solitude. I can hear the birds, feel the wind. And sometimes I just stop, get off the bike, and stare into the vastness of the landscape. Sometimes I think of my late brother, who, with his best friend, Bob, cycled across the U.S. one summer: Atlanta to LA, a hundred miles a day. This was the early 90s and he used to send back rolls of film—no note—just a Kodak roll that my mother would develop. We’d look at the photos and try to guess where he was. What a place to find the Bard! We crossed the border with almost no fruit and veg because of quarantine (that turned out to be lax going into Queensland, unlike other states). At Cammoweal, just over the border, I’d planned to shop, but it was a public holiday we’d forgotten all about, and everything was shut. We drove off the highway, looking for a free camp on the Cammoweal Billabong, but the road was closed because of recent heavy rains. So, we carried on down the highway, fruitless, unsure of our next camp. We found a free camp on the side of the highway, but it was bleak. We weren’t sure whether to start down the dirt road to Budjamulla National Park–it was over 200 kilometres and we didn’t know how the road was after all that heavy rain. Then, three mud-splattered four wheel-drives pulled into the rest area. We’d already been driving four hours, but we decided to go for it—at least drive part of the way. Anything had to be better than that sad rest area with no shade, a concrete block for a table and toilet paper in the bushes. An emu greeted us on the side of the road at the start of our journey. And a red kangaroo hopped just in front of the car and then alongside us at 40 kilometres an hour and I knew we’d made the right decision. I drove. I remember the first puddle because as I went through, it slowed the car and covered the windscreen so I couldn’t see anything. The girls cheered in the back seat. Lee rolled his eyes. This was our first time driving in mud and it reminded me of driving through snow in Binghamton, NY—at some point you lose control of the car and just pray that it stays on the road. Two hours later, and we were still driving through mud. The girls played in the backseat where they’d been since nine a.m. I was getting hungry and trying to calculate when the sun would set. We’d gained half an hour when we entered Queensland. When we got to our first river crossing I stopped the car, hopped out, and let Lee put it in four wheel-drive. We got through fine. Then we came to a raging river crossing. Lee and I were both nervous. I got out and walked through—it only came up to my knees, but the current was strong. Lee, convinced that we were far too heavy to be swept away, put it in four wheel-drive again and powered through. It’s the only time I’ve been grateful for all the weight we’re carrying. I was too nervous to take a photo, but I took one on our way out five days later. That night we stayed at a bush camp. A mob of agile wallabies greeted us as we came through the gate. We were the only ones camping and we woke at sunrise with the birds, had pancakes with a million flies, packed up and drove a short way up the road to Riversliegh D Site. We were the only ones visiting this place that—25 million years ago—had been a rain forest and home to animals such as the “thunderbird”, or dromornithid, a huge flightless bird that weighed 300 kilos and was three times the size of an emu, but is apparently more closely related to the modern-day domestic duck. 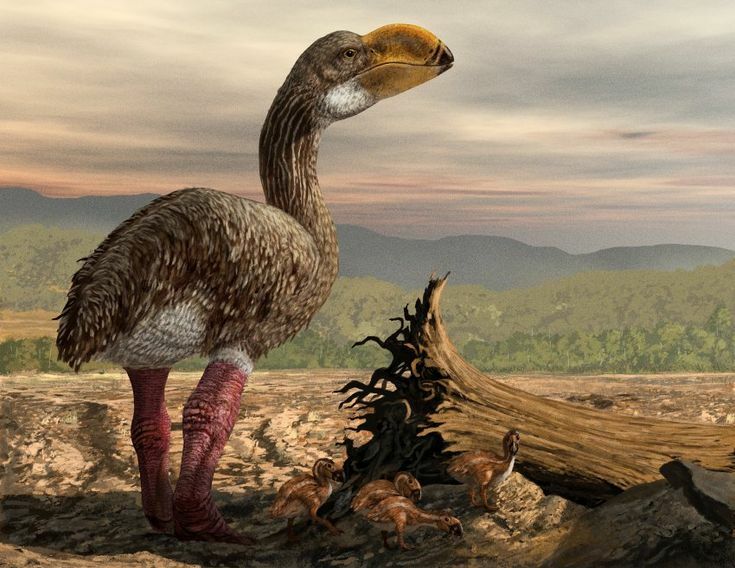 We saw fossils of this bird and of a now extinct giant freshwater crocodile and a horned turtle, below. In this site and others nearby, they’ve also found fossils of the now extinct marsupial lion, carnivorous kangaroo, and flesh-eating bats. As we searched for fossils and walked through Riversleigh Site D, it was hard to imagine the wet climate that supported these beings 25 million years ago. After driving 207 kilometres down a desolate dirt road, it is a welcome surprise to come across the lush oasis that is Boodjamulla National Park (formerly Lawn Hill National Park). It’s no wonder that the Waanyi people have called this place home for well over 30,000 years (which means they were around when the last of the thunderbirds walked the earth 28,000 years ago, and might have hunted the slow birds to extinction). We saw rock art from 10,000 years ago near the creek. I’d booked us in for three nights at Boodjamulla, but we stayed four, and would’ve stayed longer if we’d had more food. Each morning the purple-crowned fairy wren visited our campsite, along with crimson finches, bower birds, and dozens of other feathered friends. In the evenings we saw turtles in the creek, which is vast and green and rich with limestone that’s good for producing fossils. It’s more of a river than a creek. The days were hot, the nights cool. Each morning and evening I kayaked up through the gorge to the cascades, where I swam with the girls. River pandanus drapes the edges of the creek until you reach the tall cliffs of the gorge. Swallows nest on the sides of these vast red rocks, darting back and forth along the water. A few trees grow, their roots reaching metres down to the waters of the creek. R came with me in the kayak in the mornings. She sat between my legs, occasionally trying to paddle, chatting all the way. We made up stories about imaginary creatures who live in the creek: the Budja Budja, a bright pink octopus with ten legs, who feeds on the stripy fish beneath our kayak, and the Bunda Bunda, a blue turtle with green wings, who lays its eggs on the tops of the lily pads we paddled past. The birds chirped in the trees around us. Bubbles rose to the surface from unknown creatures below. Dragonflies mated in the air. These were long languid mornings, out of time. We were often the only ones on the water. My shoulders still ache from all that paddling. One night we let K stay up late. Lee made a mattress of canvas on the ground and she lay with a sleeping bag under the night sky. She waited patiently for the sky to darken—identifying Venus and Mars and Saturn. She waited and watched, and then we saw it: the most magnificent shooting star streaked across the sky. “I saw one!” she screamed. And so she saw her first shooting star. Then she saw three more. On our last evening in Budjamulla we borrowed another canoe and all four of us paddled up the river at sunset. We went skinny dipping at the cascades in the fading light and paddled back down under the light of a half moon. It was with great reluctance that we left Eden and it was a shock to arrive in the mining town of Mount Isa. But we were completely out of food and water and only just made it to Woolies in “Isa” before it shut at five yesterday. It’s Sunday today and everything’s closed except the Fossil Centre. This morning K and I went on a two-hour tour, led by an enthusiastic volunteer. We saw hundreds of fossils from Riversliegh, where we were, just days ago. We got to look through microscopes at fossils from 3 million year-old bat poo—tiny ancient mouse bones and teeth. The tour guide was excited to have a kid in the group and at the end, took K back into the lab so she could hold several 30 million year old fossils—amazing. The heat was relentless in the Top End and so we headed south, towards Alice. Our first stop was another hot springs: Mataranka. When it’s 39 degrees, 34 degree water is actually refreshing. The springs, under a forest of palm and paperbark, were a lovely turquoise colour. While in Mataranka, we poked our heads into the replica house featured in the film version of We of the Never Never. I’m now reading this 1908 novel, full of outback characters, written by Jeannie Gunn. Then it was back on the road again . . . . It’s nearly 1200 kilometres from Katherine to Alice down a long, mostly straight road that cuts through the desert, or if not technically desert, very arid country. We had a welcome rest at Daly Waters, the famous outback pub. Middies were a bargain $3.50 at happy hour and they gave the kids a lengthy activity booklet so that we could enjoy said beers in the shade. It was still well over thirty degrees at half five in the afternoon. Daly Waters used to be a refuelling stop for Qantas flights from Sydney to Singapore. Now it’s full of travellers. We camped overnight and hit the road again the next morning. We drove to Tennant Creek, where we visited a museum of early pioneers, gold diggers. Interestingly, they made the floors of their houses from ant hills, patted down as these proved cool and kept the dust down. We’ve found a plethora of pioneer museums and monuments on our trip, all emphasizing how hard these overseas settlers had it. I can’t argue with that, but there don’t seem to be quite as many museums on the original inhabitants of this country, who’ve been here significantly longer. They’re real people like us. You can see them. A long time ago I went with my billycan down to the creek here to get some water. One of these secret people came out and started playing with me. I couldn’t go away. My mother came and got me, saved me. After that we never camped at this place again, never. They’re kind these secret people, but they can make you mad. They can change you into one of them. They can say, “Follow me,” and you can’t go back. At the end of a long driving day–500 kilometres–we finally reached Alice and cooler climes. Alice Springs is another misnamed town, as there are no permanent springs there. The Todd River runs through town, but that was—like so many rivers we’ve crossed in Australia—dry as a bone. Alice is an interesting town with a population of 25,000, many of whom are indigenous. There are bookstores and cafes and a low-key market once a month in the town centre. At the Desert Park we learned about the reproductive system of the red kangaroo. When the female gets pregnant, she can halt the growth of her foetus for up to a hundred days or until she has a better food source. We saw an amazing bird show, where a barn owl flew silently overhead and a buzzard opened an emu egg with a rock. We spent two nights in Ormiston Gorge, 135 kilometres west of Alice. This was a stunning spot and a beautiful swimming hole. K and I did a long walk through the gorge, up and around it. They’ve had rain in the centre over the last few months and so there’s a surprising blanket of green and an abundance of wildflowers. R bundled up at Ormiston Gorge–ahhh, to be cold again! Then we went back to Alice, where there were storms-the first rain we’ve seen in nearly three months. That night, a tree came down in the caravan park, crushing a four-wheel drive just meters from us and ruining one couple’s holiday. Good luck it didn’t come down on our canvas tent! I did a big shop, we packed up, got new moulds for K’s hearing aids, and were back on the road. Next stop . . . “Uluru, baby!” says R in the back seat. The close of another sunny day in Darwin. Ultimately, we can’t stay because there are few resources for deaf kids in the NT. There’s no deaf school in Darwin, and the only deaf unit in a mainstream school was closed over a decade ago. The Darwin Festival was on while we were here, the biggest event of the year with an amazing line up of plays and performances. Not one event during the entire three weeks was interpreted. There are three interpreters for the entire city, one full-time, one part-time and one on maternity leave. One interpreter told me that deaf kids are lucky to get an hour and a half of interpreting each week at their school. Many deaf people here in Darwin have gone “down south” for school. I met one successful young deaf woman who attended Darwin High School—and did well there—but her parents had to put up a fight just to get her a note-taker. She didn’t have an interpreter. For the start of Disabilities’ Awareness Week in Darwin, they had a free screening of The Penguins of Madagascar. I rang ahead of time to make sure it was captioned. They assured me it was, so, I told K, who was very excited. We rucked up early to get a good seat, the movie started and K’s face fell. “No captions,” she said. And it was the opening event for Disabilities’ Awareness Week?! On a positive note, when getting new moulds for K at Australian Hearing, we met an audiologist who’s studying Auslan at Deaf NT. Deaf NT has been welcoming. They have a small office and a big workload. K has been attending the local mainstream school. She wanted to give it a try. In the first week, she got assessed and the Department of Education concluded that she would receive no support—zero—because she’s not behind. If we were staying in Darwin, I’d tell them she’s not behind because she’s had a full-time interpreter, three hours a week of an amazing itinerant teacher, and one day a week at a deaf school in Sydney. The school, Stuart Park Primary, is a lovely place—truly multicultural, friendly and positive. At assemblies they give awards to students who’ve helped clean up the playground. K’s teacher is talented and well-loved. She’s good at using visual cues in the classroom. The girls head off to school and preschool. Unfortunately, there’s little deaf awareness at Stuart Park, and being the only deaf kid in school has proved challenging. A number of teachers don’t look at K when they’re talking and don’t put the captions on for videos. For the school concert, K was given the role of a band member and told to lip-sync three songs that she couldn’t hear. At lunch time, she can’t hear the other kids and no one signs. When she comes home and tells me these things, I say, “Imagine, this is what most deaf kids in Australia have to go through.” And I think to myself, and this is why deaf kids in Australia are a year behind, on average, in math and reading. I offered to take K out of school, but she didn’t want to go. She’s not one to run away—she’s stayed for our full six weeks, and she’s managed to make friends. But during lunchtime, she chooses to read in the library because she can’t hear her friends on the playground. Despite the fact that K has not had equal access at her school, she’s had some positive experiences and we’re grateful for the effort the school has made. K ready for her first school disco, with a 60s theme. On Tuesdays, K and I taught Auslan to her class. I interpreted the assemblies every Friday. Our experience here overall makes me realize how the big cities are really the place to be if you’re deaf. And yet there is a small community of deaf people making their way here in Darwin and we’ve been able to meet some of them. They like Darwin for the same reasons everyone else does—it’s relaxed, easy and warm in more ways than one. Cooling off in Buley Rock Holes in nearby Litchfield National Park, a popular place with locals.